From the Author of Reunion, a #1 Amazon best-selling ghost story. 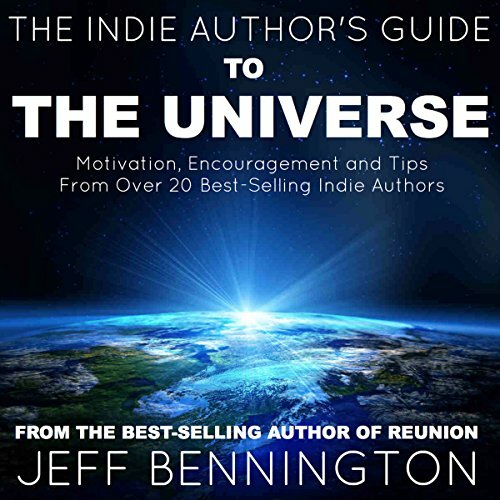 The Indie Author's Guide to the Universe is meant to help any author, whether they are traditionally published or self-published, to take one step further in their journey. This book is designed to encourage and inspire authors in their craft, and give creative ideas that can improve sales and grow your author platform. If you bought a book about self-publishing 6 months ago, it is ancient history. >WHO IN THE WORLD IS JEFF BENNINGTON? ?Jeff is the the best-selling author of Reunion, Twisted Vengeance, and Creepy: A collection of scary stories. He Blogs at The Writing Bomb and is the founder of The Kindle Book Review. Jeff is also an author consultant and has helped other writers hit the Amazon Top 100. You can follow Jeff on Twitter @TweetTheBook, and Facebook. Check out his Author Services Page at The Writing Bomb and The Kindle Book Review.